A theme of flowers as an interior decoration is quite popular and very graceful. It can have a form of live, cut plants placed in minimalistic vases, as a main theme of all kinds of fabrics or in the form of pictures in a flower photo wallpaper. You decide on the way of using the floral themes inside a room. In this article you will find out how to decorate the walls with it. A well adjusted wall decoration can change the character of the room completely. The floral themes are usually colourful and enjoyable. That is why they dominate the composition. 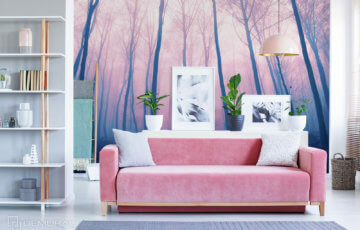 All kinds of photo wallpapers with floral or plantal themes are perfect for large rooms where the furniture and the rest of additions and decorations are not numerous. 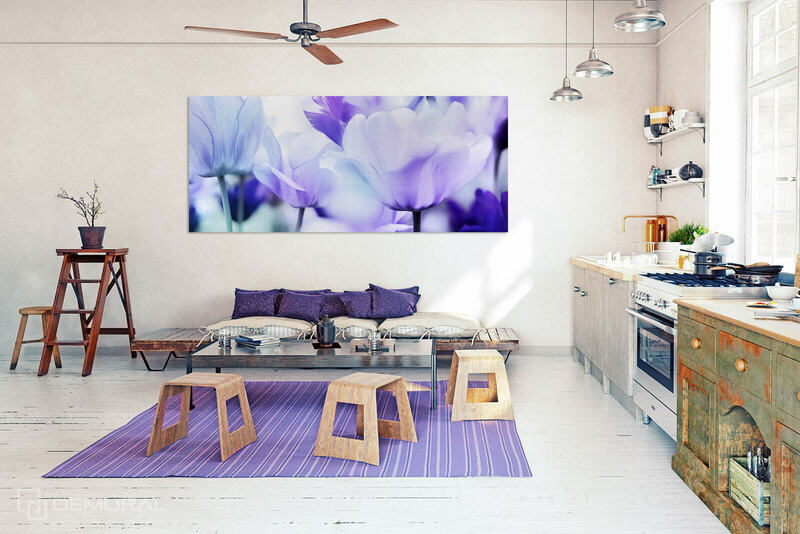 How to expose the floral interior decoration – flower photo wallpaper? In order to underline the unusual character of this kind of arrangement, you should remember about being moderate. It is the key when it comes to colourful decoration that consists of many elements. A wall in case of such a flower photo wallpaper should be only and exclusively a background that should be minimalistic and toned. Thanks to this procedure your wall decoration, so for example a flower photo wallpaper on one of the walls, will be exposed automatically and it will be enjoyable to look at. An important issue in this case is also the arrangement of furniture. This wall decoration should not be covered with drawers, bookcases or shelves. 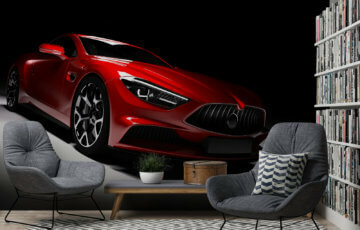 If you really want some furniture in front of it, try on bigger but not so tall one – it must not cover the wall too much. It can be a couch or leisure equipment. Also the table with chairs or a small table would work. The less the better. 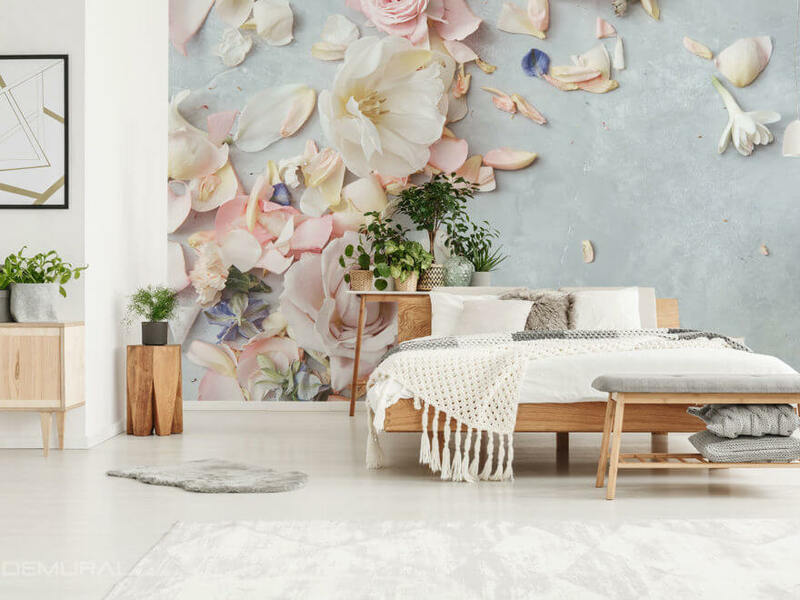 If you don’t have too much space and you like the wall floral themes very much, you can try sticking a photo wallpaper with floral theme only on a fragment of wall. Then the space would not be overwhelmed and it will gain an interesting and colourful decorative element. Another solution could be decorating the wall with floral pictures. Here you can do a lot because the range of patterns is huge. What is also important while decorating the wall with such a piece of art, is the size of pictures. The sizes of frames can match the whole arrangement or destroy it. The rules in this case are quite simple – adjust pictures to the shape of space. So if you want to decorate a horizontal, wide wall, try the triptych or a horizontal picture. When you have a narrow and not so tall space, choose the vertical pictures. This simple procedure will make your floral decoration look even more favourably. A plantal theme of the interior arrangement is perfect in every situation. All you need is a bit of fantasy, good taste and the effect will surely enchant you!